Every summer Black Sheep Adventure Sports offers a wide variety of guided climbing and mountaineering adventures all over BC. This can include memorable days on the sun bathed rock of the Squamish valley to alpine trips into the iconic Tantalus range or Bugaboos. If you can’t find what you’re looking for below shoot me an email and we’ll put a custom package together for you. Safe travels. Using the picturesque Haberl Hut as a base of operations this helicopter accessed alpine climbing and mountaineering adventure has it all: Granite spires, long ridges, beautiful glaciers, ocean views, cell service and a BBQ. Trips typically run from Friday to Sunday allowing you get 2 full days of alpine climbing and mountaineering in over the weekend! The iconic Apron is a huge slab of low angle granite that leads partway up the famous Chief in Squamish, BC. At the top of the Apron is an amazing lookout, called the Memorial Ledge, features view of the Howe Sound, Tantalus Range and of course the Squamish valley. Join one of our professional, ACMG certified guides for a guided rock climbing adventure on the picturesque Star Chek. 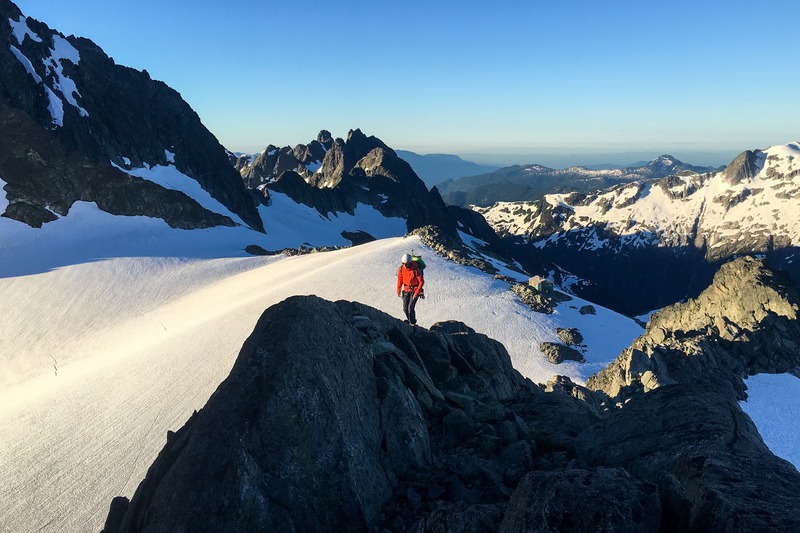 Listed as one of the Top 100 climbs in the valley, Star Chek is an amazing climb that ascends a well featured granite wall above the raging Cheakamus river. Ever wanted to climb the iconic Stawamus Chief? Towering over 700m above the waters of the Howe Sound it features amazing views of the surrounding mountains and amazing climbing. With various climbing routes up the large granite monolith, some as easy as 5.9, there’s sure to be a route that captures your imagination. This program is designed as a Tour-de-Force of the Squamish Selects’ Top 100 climbs. Choose a weekend that works well with your schedule and one of our professional ACMG certified guides will take you up some of the best rock climbing routes around Squamish.